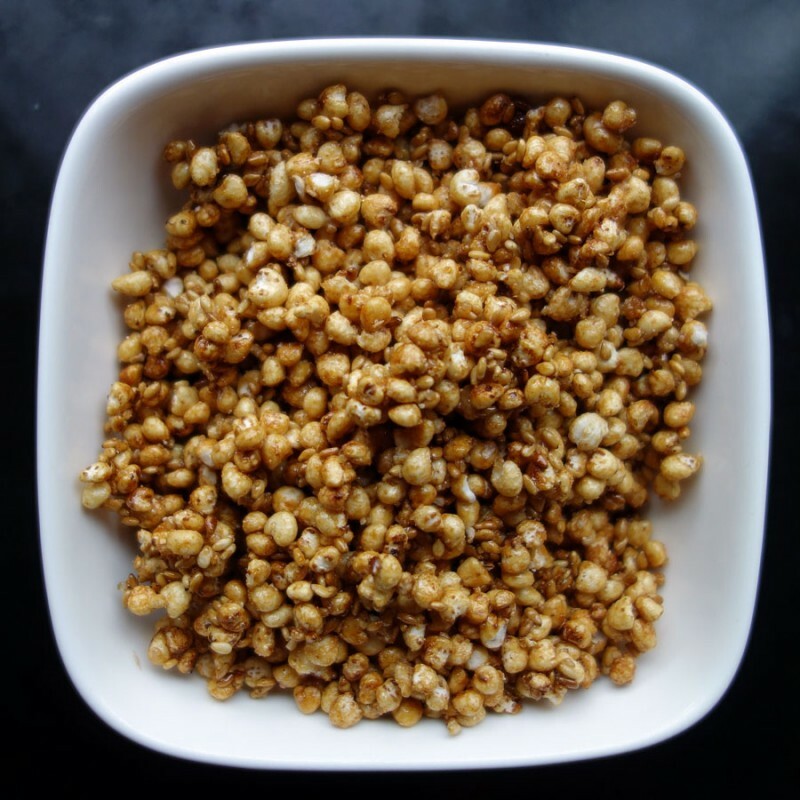 Caramelized Millet Puffs make a fast, crunchy garnish for any desserts or to add to cereal, trail mix and more. They taste very reminiscent of the breakfast cereal Suga Pops. Have ready a plate or sheet pan lined with waxed paper or a silicone baking sheet. Heat a dry cast iron frying pan on medium heat. Add the millet, sugar and salt, stirring constantly with a silicone spatula until the sugar melts and starts to coat the millet puffs about two minutes. Add the sesame seeds and continue to stir until the sugar is completely melted and mixture is golden. Immediately, pour the mixture on the waxed paper, pressing it out, with the silicone spatula so it’s flat. Cool completely. Use Caramel Sesame Millet Puffs on ice cream, sundaes, parfaits, panna cotta, pavlova, puddings, etc.